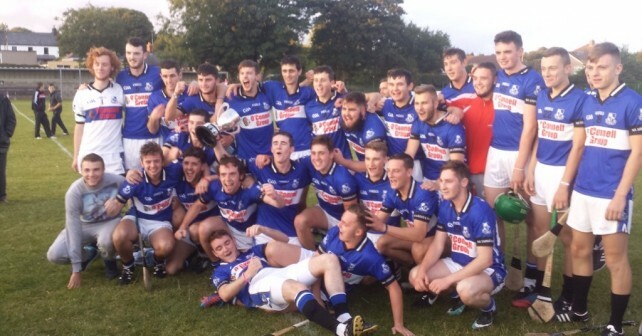 The never say die attitude of Sarsfields U21 hurlers got it’s just reward at Caherlag this evening. Trailing by six points at the interval, a superb goal at the resumption from Captain Fanahan Mc Sweeney set the scene for a Classic victory. In a hectic final two minutes, Daniel O’ Mahony ( who contributed 0-7) and Luke Hackett shot over the winning scores. A fantastic team effort , epitomised perfectly by outstanding centre back Eoghan Murphy. Great credit also to Manager Conor Mc Carthy selectors Anthony Elliot and Cathal O’Connor, ably assisted by Senior player Kieran Murphy. Great effort, Great result.